Marketing software is exciting. When I was running my marketing agency, I was testing out new software tools on a near daily basis! There are tools, right now, that I don’t even know about at all. But if I found them today and I felt they could help my business grow, I’d throw my money at the screen until I could use them. You may be the same way and that tells you a bit about the incredible advancement of the industry, especially in marketing software tools. A new feature, or a unique spin that makes at least one element of your job so much easier — and you’re sold before the explainer video is over. More and more, it seems like this is happening to me. Either I’m getting more gullible (possible), or the gizmos are just getting more and more valuable, not to mention essential. In this post, we’ll be mentioning a few names, but overall it will be a guide to figuring out your needs and weighing the pros and cons. Of course, you’ll probably have to test a few options in each category. That said, you should be able to narrow the field down to a few. That selection process is what I hope to help you with today. It’ll be separated into the key marketing software categories pretty much every agency uses. We could probably write a whole post on the importance of having (and using) a good CRM to track leads and customers (and might one day). This one tool is the nervous system of a good agency. We’ll spend the most time here. Choosing a poor fit for your business can cost you more than the monthly or annual charge for the tool itself. It could also cost you good customers and good employees. There are a few lenses to view these CRMs through that can help you determine the best option. How many sales-facing employees will be using this tech to do their jobs? If you are a large agency that has a dedicated sales and marketing (or smarketing) team to acquire new business, you may need something that is deep-level. Meaning, you get deep in the sales data, personas, and other metrics that reps can geek out on. Other things, like organizing tasks for your clients may be better suited with tools like Trello/Slack. On the other hand, if you’re a tight-knit crew, then a CRM that offers collaboration and “extra” stuff besides tracking and closing deals could be the best option. Side Note: We just used Slack for a weekly team video huddle and it was awesome! Up to 15 webcams and no issues. Anyway, I digress. You could be going for the record in terms of number of marketing clients, or you may be trying to take over whole marketing departments and charging a great fee to do so. My point is, the number of companies an agency can represent varies. There are some CRMs that could be better or worse. If you have a larger number of clients, something like Zoho may be good. The search capabilities would be great to keep track of a lot of contacts. For fewer, yet higher profit clients—Infusionsoft could be a great option. What services do you specialize in and sell most often? The features and integrations of the CRM you choose could make it clear which option is the best fit. Inbounders will probably be happy with HubSpot’s “free” option. Agencies that focus on social, may try something like Nimble for them and their clients. Another note is the nature of your workflow. How your team integrates with a CRM is crucial. Finding a solution that keeps the crew running in a similar way can be a great way to help things along. If everyone communicates via gmail, find the tool that integrates well. If your teams are fairly autonomous, find a tool that segments things in a similar way. Make sense? If you’re in digital marketing, you send emails. How well you send emails (either to cold contacts or current clients) can really impact your growth, lifetime value of current clients, and the overall health of your business. The truth is that your emails can give you a snapshot of the health of your outreach or “audience”. If you’re sending out cold emails to businesses, what do you want to see? 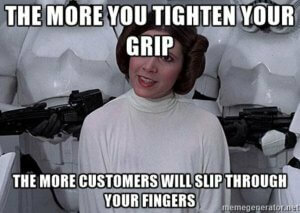 A good open rate, click-through rate, and the response rate. All of these metrics can help you make your messaging better over time and most email marketing providers give this basic data. But there is something most don’t do that well. Automation. If you’re bootstrapping, you may want to spend the money on a decent provider that gives you the ability to drip-feed content to your list. 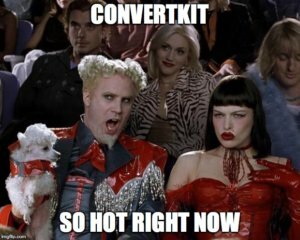 ConvertKit is really hot right now. They only cost a bit more than Aweber (the most popular option), but have far easier and better capabilities (IMO). The option for agencies that really want to have complete automation control may be something like Drip. The company was recently purchased by lead pages, but they’re a step ahead in terms of segmentation. They’re also expensive, but reasonable for smaller lists. You may not want to use something like MailChimp. They’re great for beginner bloggers, and have some awesome research, but not the best for agencies. Bonus Research: Here’s a very in-depth guide for choosing an email service. This is, by far, the most intricate toolset for agencies online. You could spend an incredible amount of time searching, testing, and implementing tools of about half a dozen categories. There are programs to manage accounts, programs to track metrics, reach out to influencers, do content research—the list goes on and on. Auxiliary tools can also pop up for this category. Things like Canva, or Venngage can be used to come up with graphics in order to share on social. It can get confusing. There are a few steps you may want to take to choose the right marketing software at the right time. Take an honest look at what you’re doing right now. Are you manually doing all of the social media work? What’s taking the most time? What types of posts get the most engagement for your customers (e.g. graphics, stock photos, videos)? Now that you know a bit more about what you need versus what may be cool, you can list it out. Kinda like growth hacking you can set up the most important tools to find and implement first and set up the timeframe to find secondary and tertiary tools at a later date. Prioritize the list based on usefulness, time saved, and ROI. Your list will help you avoid chasing squirrels. If your goal is to find the best social media management tool for your business, you’ll find it faster than getting lost in the Google search for best social tools. Most of these tools are month-to-month and either have a free trial or money-back guarantee. Use these to your advantage. Test the marketing software on your own social accounts (so you don’t mess up client work) and track the results. Important: You could choose an all-in-one tool and grow into it. The go-to would probably be like a Buffer or SproutSocial. Bonus Research: Here are 11 more tips to choosing the best social tools. Pop quiz. You have a great client who wants to grow organic traffic to their decently-aged site, but seems to want results fairly quickly. You do keyword research, find low competition keywords, and write posts that will engage visitors and gently bring them to your client, right? To do this, you’ll need at least one tool. And to rank for harder terms, you’ll need some high-level marketing software tools that help you track the keywords and the backlink structure of your client’s competitors. If you’re working on inbound, SEO is important. That said, many agencies don’t focus enough on this area. Most of your clients have sites that are out of the “Google sandbox” and could easily reach out to vendors and others for links. All you have to do is write the content that people will want to read and make it all happen. Most solutions in this area are getting expensive. Some marketing software can set you back thousands a year, but some are still in the low monthly range. 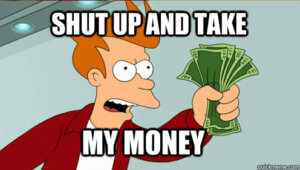 A larger agency should have no problems buying some of the best tools, like Majestic or Alexa (among many others). Smaller agencies may have trouble justifying this early on, and that’s o.k. Your keyword tool could be the keyword planner from Google, or buying a reputable gig on fiverr. Don’t get your content on there, but some of the keyword research gigs include buying someone’s time to use the very tools we’ve mentioned—giving you the breakdown. Of course, there are tools specifically for YouTube, social media, and even Amazon for ecommerce and kindle—if those are your customers. Bonus Resource: Brian Dean over at Backlinko wrote a fantastic guide on KW research. Check it out here. 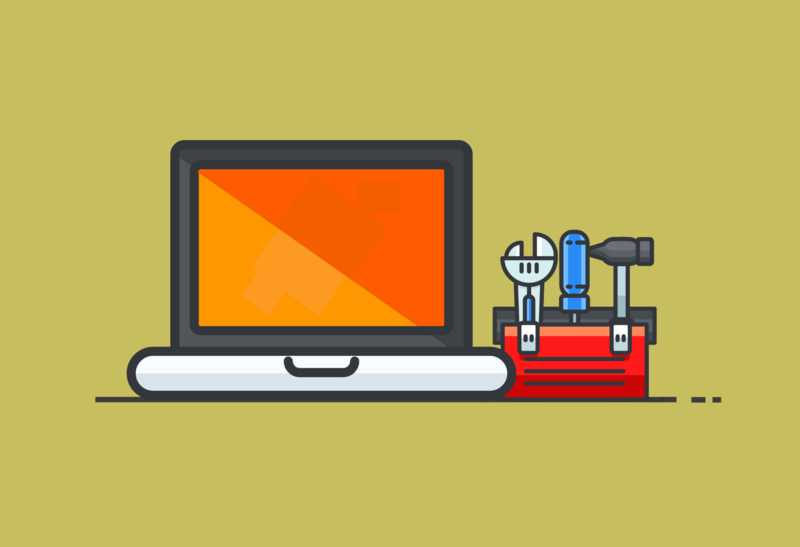 What Marketing Software Can You Not Live Without? Help us and others out by giving us that one piece of marketing software we haven’t heard about. What’s that one tool that made you rip out your credit card?